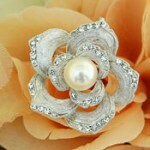 This brooch comes with 8 mm round off-white glass pearl and brush silver finish. 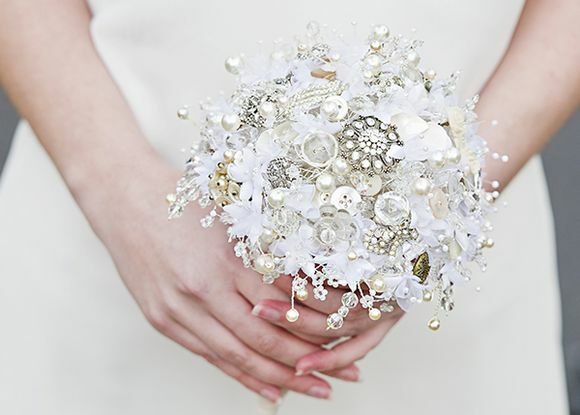 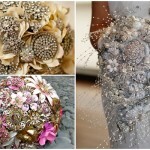 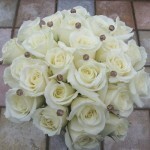 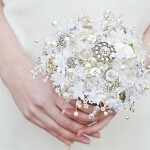 Makes a fashion statement by adding to your bridal gown or bridal bouquet. 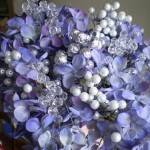 Great as mother of the bride or groom wedding gift.This is becoming a huge trend. 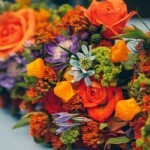 By not using flowers and finding unique bouquets, you can keep the bouquet as it is forever and you can modify it and create something completely unique for your big day.